In the last 3 years the rental prices of apartments in Barcelona has risen a 50%. First of all it is important to know your budget. Based on this budget you will know if it is possible to rent an apartment for your own or that you have to share the apartment with other people. Below you get a rough idea of the current rental prices for apartments in Barcelona. Please note that rental prices normally don’t include costs of utilities (water, gas and electricity) and internet. Utilities in Barcelona can be typically around 120 Euros a month for a two bedroom apartment, but this varies widely depending on the type of heating in the building and will likely be more in the winter. The costs for internet are around 40 Euros a month. Besides your budget it is really important to know already for how long you need an apartment. The length of the stay has influence on the price and the kind of apartment (furnished or not furnished). Long- term rentals: if you would like to rent an apartment for a few years (from one year till three years). For long-term rentals we recommend you the following websites: Idealista, Fotocasa and Enalquiler. Many agencies and individuals owners advertise their apartments in these long-term rental websites. Most of them are reliable but pay attention that in a very few/rare cases there are bad practices or even scammers who ask some money in advance to show you the flats. Never pay any amount to see a flat or for a list of flats. After this it is important to analyze the area where you would like to live. Do you prefer to stay in the old town, near the beach or a bit out of the centre. You should know that Barcelona has a very efficient and affordable public transport system. Once you have decided in which neighborhood you would like to live, then you are ready to start your search for an apartment. Once you have found a suitable apartment and the agency or owner confirms that they would like to rent the apartment to you, we strongly recommend to book the apartment quickly. To book an apartment most agencies ask for an agency fee and a deposit. – The agency fee should be also clear. It is usually the same amount as a one month of rent + VAT. – The amount of the deposit should be clear and also important to be written when it will be refunded. It is usually the same amount as one or two months of rent, depending on the agency and the duration of the contract. – The current state of the apartment should be defined in the contract. If there are stains on walls, furniture in poor condition or other incidents should these be included in the contract. 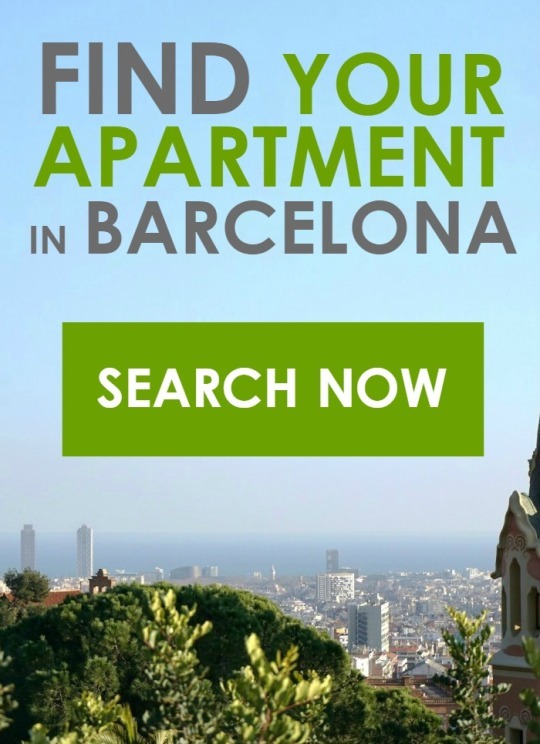 We hope this information will be useful for your search for an apartment in Barcelona.